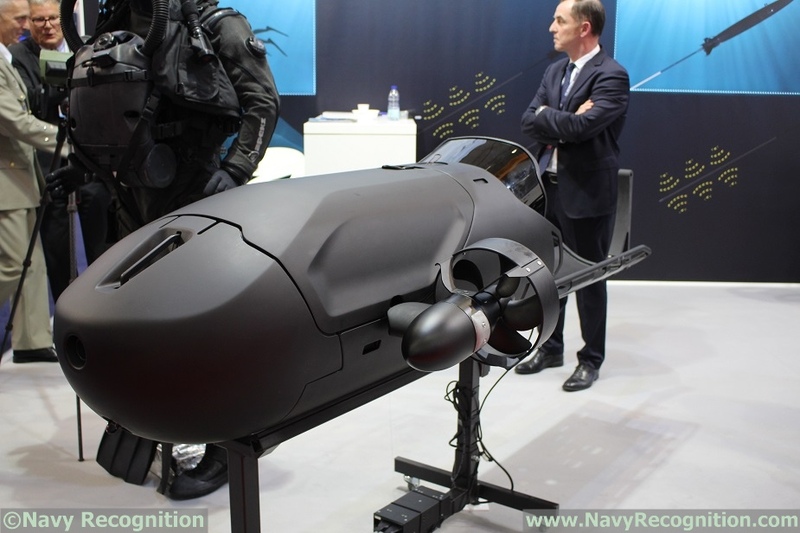 At Euronaval 2018, ALSEAMAR unveiled the MURENE Subsea Light Vehicle. It has been designed to provide the best ergonomics and performances for 2 fully equipped divers. The MURENE can be deployed from shore, from a boat or from a submarine through a torpedo tube. The SLV is fitted with a cutting-edge Inertial Navigation System coupled to a Doppler Velocity Log and a GPS. 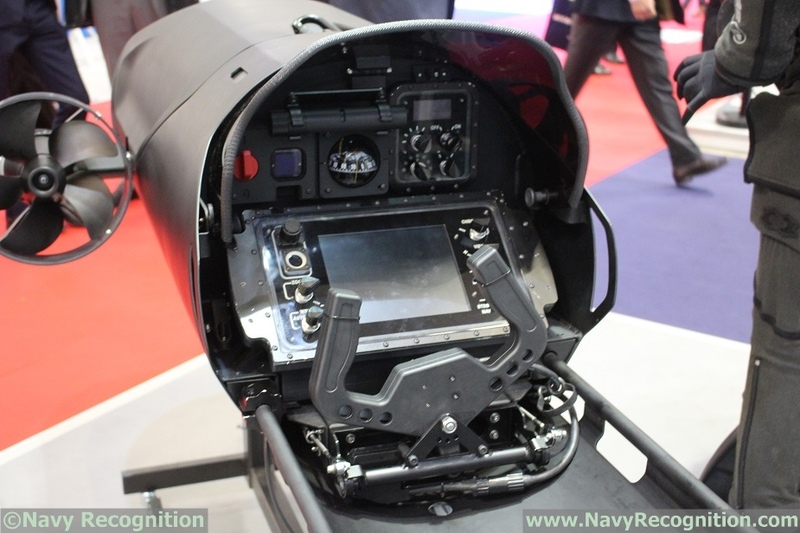 Its small dimension, its greater ease of use, and intuitive piloting, make it a perfect device to sneak up on maritime targets. The full version, fitted with a Forward-Looking Multi-Beam Sonar, is able to carry out seabed monitoring. Designed on the basis of a strong cooperation with combat divers, it is fully built and patented by ALSEAMAR. The MURENE key features include an advanced hydrodynamic shape and protection, comfortable posture for the divers, simple and user-friendly piloting, high accuracy navigation system, very long operating range, high payload capacity, multiple redundancies (depth gauge, analog compass, timer watch, engine...). The speed of MURENE is up to 4 kts, its range up to 16 Nm at 2 kts. It weights under 135 kg.